The much awaited Fashion extravaganza ‘Amazon India Fashion Week’ is back and is bigger and bolder! Most of us wait for one of the biggest extravaganza of the country- Amazon India Fashion Week organised by FDCI and here we are going to reveal not only the venue but the participating designers as well. 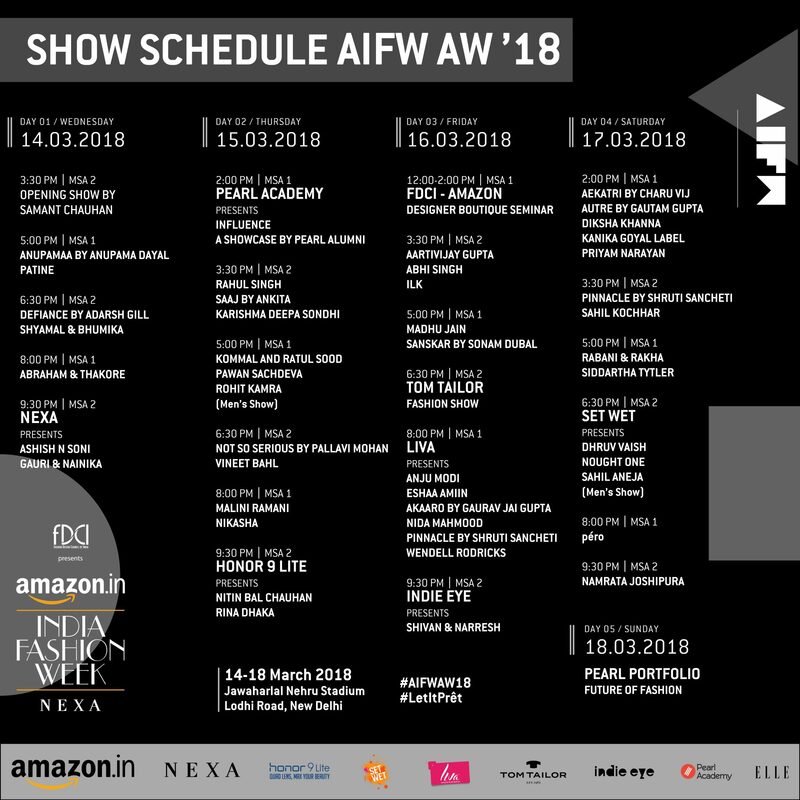 The Fashion Design Council of India (FDCI) recently announced the show schedule and list of designers for the 31st Edition of the Amazon India Fashion Week in association with Nexa Autumn Winter 2018. The five-day event will be held from March 14-18 at the Jawaharlal Nehru Stadium, Lodhi Road, New Delhi. Almost 100 designers will present their ideas through the medium of ensembles on the runway and exhibit area, making it a memorable season. From showcasing the power of handlooms to an ode to digital revolution, from taking a stroll down memory lane through retrospectives to introducing fresh formats — this year we will be homage to lots more.